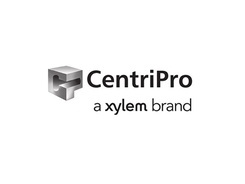 Goulds CentriPro Wastewater Accessories, a Xylem brand. If you need any and all Goulds wastewater pump accessories you will find them here. We have many accessories available including: Junction boxes, Basin Kits, Elbows and all sorts of Lifting Cables, Chains & Pump Bails. There are also many control panels with options and level alarms for simplex and duplex control panels. Looking for Guide Rails and Disconnect Systems? Look no further... we can supply you with all sorts of guide rail assemblies, rail systems and adapters. If you need Float Switches and Mounting Brackets, we have everything you could need for your system. We also carry replacement motors and control repair parts for all wastewater pumps and parts for SES Controls. If you have any questions please don't hesitate to give us a call and we can make sure you are ordering the right wastewater accessories for your pumping application.